Women and men have different needs in daily life, so there’s no wonder those needs extend to travel as well. 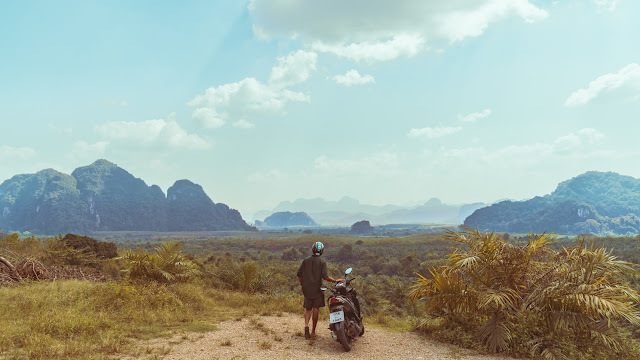 If you dream about travelling the world, but you worry about your safety and you are not sure what it takes to travel solo, then keep reading this guide to find all the information you need as a woman to create your own adventure independently and bravely. When you decide to travel to some of the most beautiful places in the world, think about booking accommodations in advance, before even leaving your home. 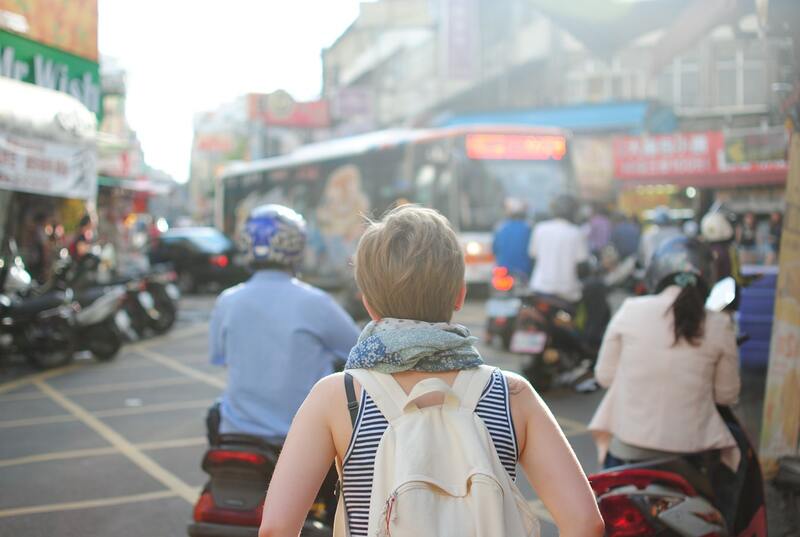 This will relieve you of a lot of stress, especially if you are a first-time solo traveller. It will also save you from frantically searching for a place to stay in unfamiliar surroundings and it will ensure you always have a safe space to go back to in case you start feeling anxious or overwhelmed. Besides, if it’s your first time travelling by yourself, your friends and family will most likely be concerned about you, and printing a detailed itinerary for them will help alleviate their worries. Another great recommendation would be to get to know your chosen destination before arriving. 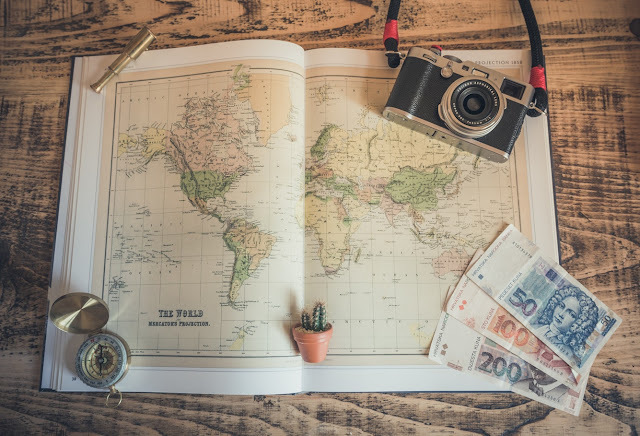 How much research you do will depend on your personal travel style, but a good idea would be to get familiar with the map, find some interesting places and landmarks, and, most importantly, learn about any safety issues. While people tend to think popular tourist areas are usually the safest, that is not always the case. Pickpockets tend to take advantage of overcrowded areas, which is why you should always be careful with your belongings. Another good idea would be to ask your hotel to give you a map and highlight the safest places you can explore by yourself. Just because you’ve decided to go on holiday, it doesn’t mean that you have the freedom to let yourself go completely. Keeping up with your regular exercise routine while you’re on vacation will help you stay in shape and improve your mood and overall well-being, making your holiday that much more enjoyable. That is why you should always remember to pack quality women's activewear in your suitcase and always opt for bamboo clothing. Not only is bamboo an organic and eco-friendly fabric, but it is also exceptionally soft and comfortable. It is a great thermal regulator too, making it the perfect option for activewear. Whether you are travelling solo or in a group, safety should always be your number-one concern. Before you leave, think about investing in pickpocket-proof clothing, taking some self-defence classes and leaving any valuables that aren’t necessary for your trip at home. Keep yourself safe when you arrive at your destination by only exploring safe areas on your own and by always carrying your hotel’s business card with you, so that you can catch a cab easily and quickly get back if you ever find yourself in an uncomfortable situation. Don’t lock yourself in your hotel room because you’re terrified to go out on your own – combat your fears and let go of them. Remember how at ease you are when you’re home and try to keep that mindset while travelling. If you hear about an interesting tour or an experience you’ve never encountered before, be open-minded and try it. Travelling is pointless if you don’t give yourself the freedom to try new, exciting things you otherwise wouldn’t get the chance to experience. That being said, always trust your instincts and never put yourself in a dangerous situation. When you are travelling by yourself, it is important to keep a positive mindset and realize all the perks this type of travel has. First of all, you can easily choose when you want to go out and be social and when you just want to spend time by yourself getting lost in your thoughts. When you don’t depend on anyone, you never have to compromise your itinerary – you have full control of everything you want to visit and when. What’s more, when you explore the world on your own, you open yourself up to both external adventures and internal discoveries, as you get a new understanding of yourself and your capabilities.